Information is power. Health screenings help you understand where you’re at so you can be proactive about managing your wellness and life in general. With One Community Health, you’ll find the screenings we offer are all about setting you up for success. We get it. Life is busy—it can be a challenge to take time out for health screenings that may not seem all that urgent to you. But it’s a fact: Health screenings save lives everyday. Getting the pulse of your health could help save your life, too. Early detection leads to better health outcomes for you and your loved ones. 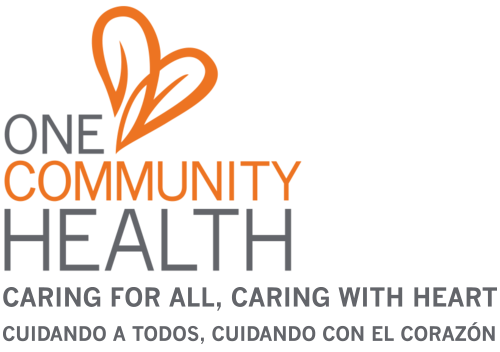 That’s why One Community Health recommends health screenings throughout the course of our care. Beyond those listed above, we can often order tests to screen for other conditions and diseases or give referrals for more specialized screenings when necessary. As part of our outreach in the community, we offer screenings for pediatric dental health within local schools, basic health and diabetes screenings for migrant farmworkers during harvest season, and free eye exams every spring through our partnership with the Casey Eye Institute Outreach Van, a service of Oregon Health & Sciences University. Want to learn more about topics relate to screenings and preventive services? Check out our library of Health Articles, authored by our expert providers and professionals. This collection of articles offers information on health screenings, immunizations and other opportunities to safeguard your health.